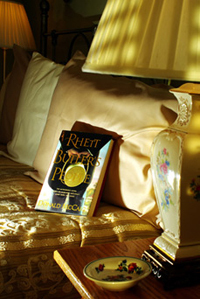 Rhett's Suite is located on the second floor of the house and has not only a bedroom, a sitting room and its own bathroom, but also a screened/glassed private porch where you can while away the hours. 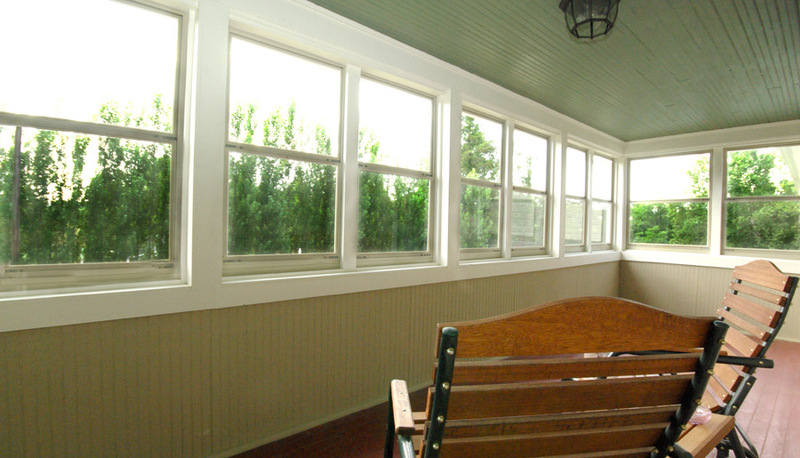 Overlooking the gazebo, it is a perfect place to enjoy your morning coffee, read, relax have conversation or conclude your day watching the sunset with a glass of wine. Relax in the sitting room. Recliner and comfy couch. Turn on the remote control electric fireplace. Watch a DVD (one of ours or bring your own) on the 41-inch-screen TV and DVD (with cable!). 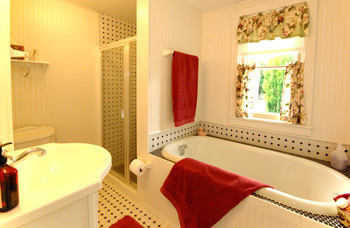 Experience a relaxing bubble bath in the old fashioned tub or renew yourself in the separate spa shower. The bedroom has a king size bed besides the queen sleeper sofa in the sitting room. This suite is great for a girl's weekend, 2 couples traveling together or one couple just wanting a little more space than a single room. 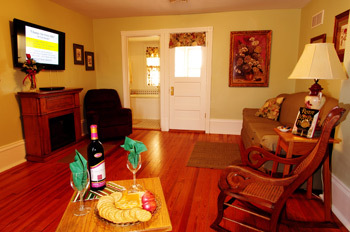 Per night $169 for two people; each additional person $15, maximum four people in room.